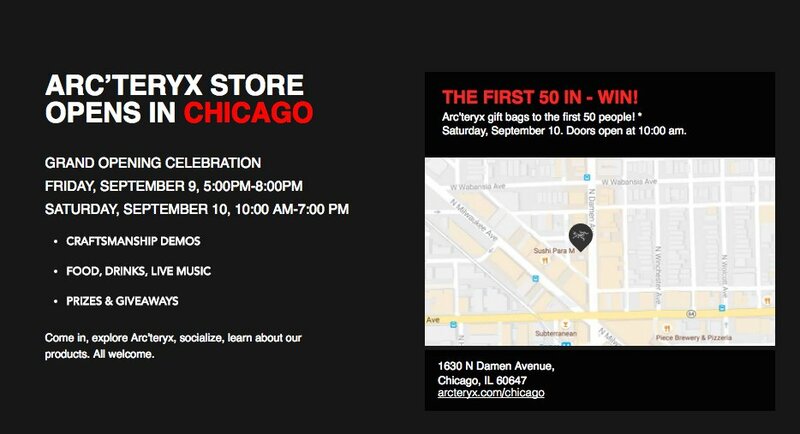 Opening in the former Asics location at 1630 N. Damen Avenue Arc'Teryx is hosting their Grand Opening today in Wicker Park. For those who may not know, Arc'Teryx is an outdoor apparel shop based in Vancouver, British Columbia. The Grand Opening hosted today, Saturday September 10, 2016 until 7:00pm will include: Craftsman Demos, Food, Drink, Live Music and Giveaways. There's already a line down the street.